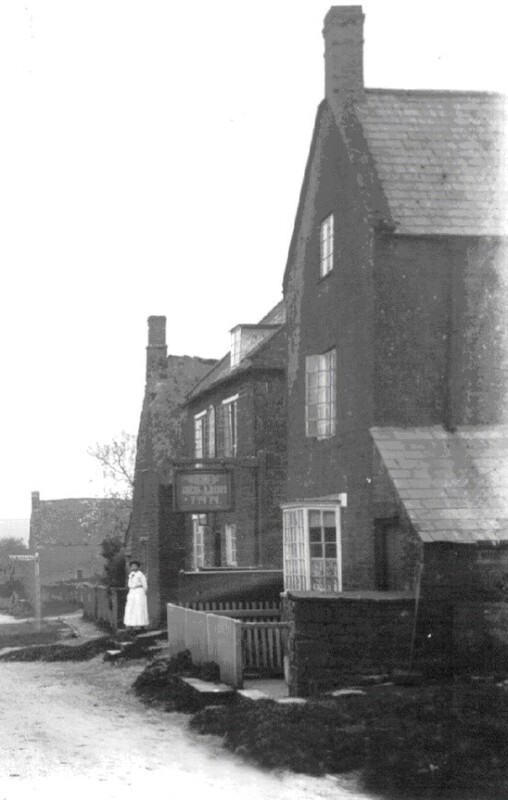 Next door to The Red Lion pub was a tall thin building which was strangely out of place amongst the lower thatched houses of the village. It looked as though it had been squeezed onto a small patch of land. However this is where the friendly elderly Mr and Mrs Gardner lived in the 1940s. I remember Mr Gardner as cowman at Manor Farm. He milked all the cows by hand in the cowsheds at the side of The Vicarage kitchen garden, where he allowed us to watch him, at a distance. He sat on a small three-legged stool. Like most men working with animals he wore leather gaiters, and like most countrymen who worked on the land he moved at a steady, even pace all day long. The house was later pulled down. This entry was posted in Modern History and tagged A Vanished Past, Clare Marchant, Manor Farm, Red Lion Pub, The Vicarage on December 1, 2015 by thehorleyviews.